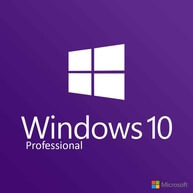 Windows 10 Pro Product Key OEM is one of the best software developed by Microsoft. It comes with world-class technical power. At Mysoftwarekeys.com, you can find it at more affordable rates than any online platform would offer. This means that when you buy Microsoft Office Pro Product Key you will be getting 67% Off from the actual price. This Operating System is popular among commercial entities and houses not just for its user-friendliness but 100% because of its technology helping people to develop better data analysis, business presentation, secured mailing and others. Moreover, when you activate product key, you can use this OS at all ease and comfort and further carry out all your essential work smoothly. Take a look at what are the software and hardware requirements to activate this Windows Product Key. You will certainly need 1 GHz processor. If you get something that is faster then it is way too better. The recommended hard disk space is 20 GB. If it is more then it would be much better. The direct9 graphics card is necessary. You also need WDDM driver.